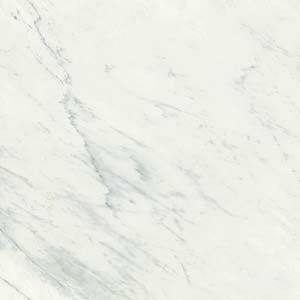 Some of the most dramatic kitchen looks we’ve seen in 2017 have used marble, and this is a trend that’s easy to bring home. You might not have the space for a 2m marble-fronted kitchen island, but you can still have a marble worktop – or something that looks very similar. 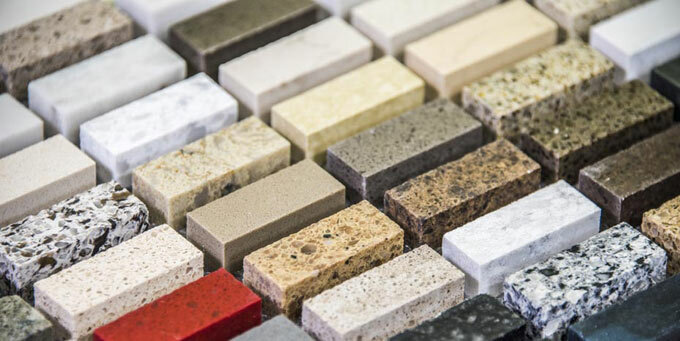 Both natural stone and engineered stones, such as Silestone, are popular this season. 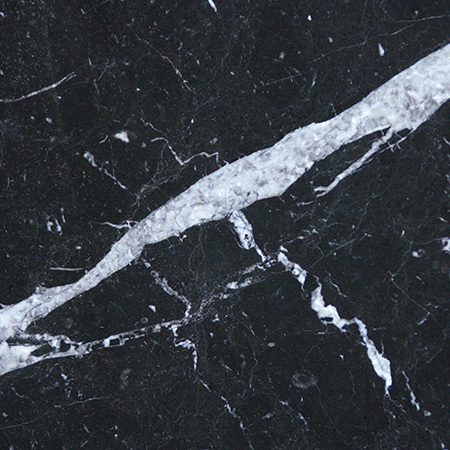 We’ve covered quartz worktops that look like marble before, and there are several reasons – besides price – that you might prefer an engineered stone to natural marble. 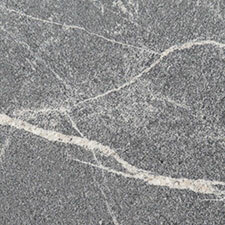 Engineered stones, like Silestone, can mimic the distinctive veining found in marble very effectively. 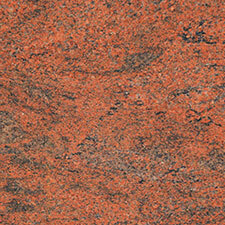 These processed stones are more consistent from slab to slab, making it easier to match multiple panels. They’re also available in a much broader range of colours, including vivid shades from sunflower yellow to sky blue, as well as paler shades that look very natural. 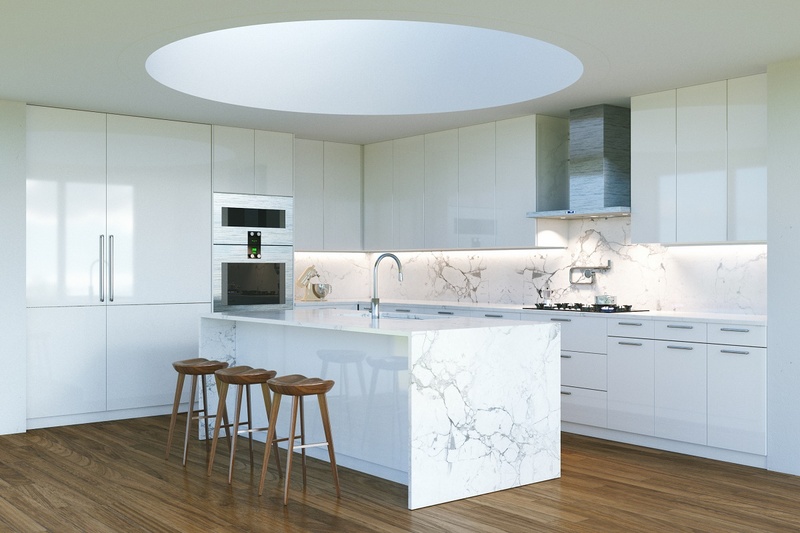 Silestone’s Eternal range and the Dekton Natural Collection have both been designed to give a similar effect to marble while also being stain resistant, damage resistant and waterproof. 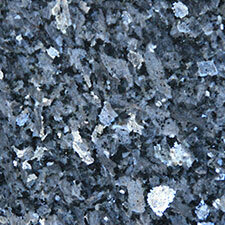 The most obvious place to upgrade to stone in the kitchen is the worktops. 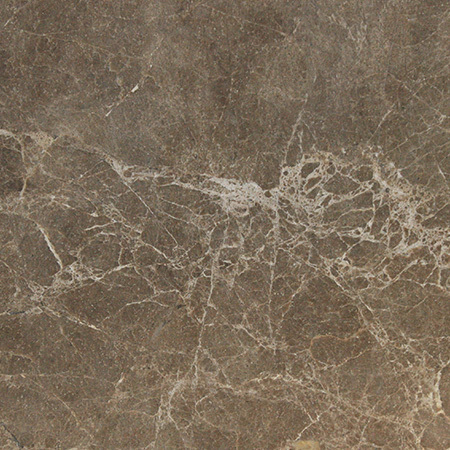 Marble worktops are popular among chefs as the stone’s thermal density means that it absorbs heat, which keeps pastry, dough and chocolate cool while it’s worked. 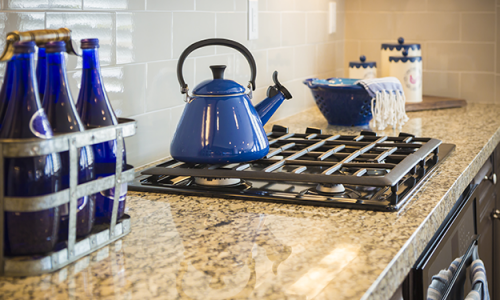 If baking biscuits isn’t a main part of your day, the surface is still food safe, easy to clean and – if the stone has been professionally sealed – hard to stain or damage. 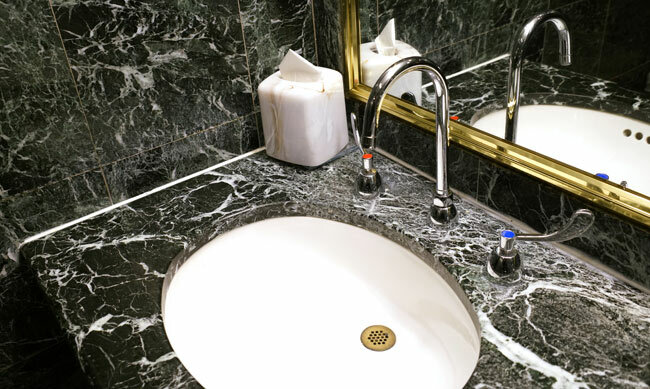 Marble has been used for thousands of years because of its beauty. 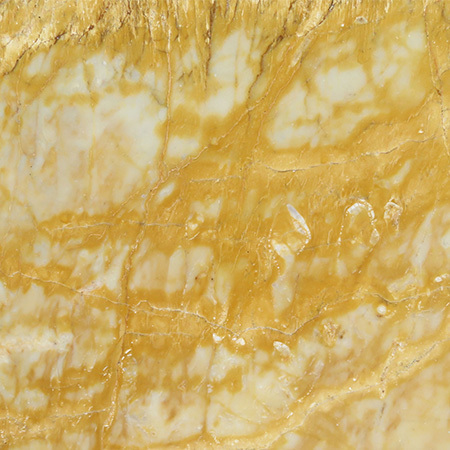 The modern processed stones that imitate its distinctive veining, such as Silestone Calacatta Gold, are also very attractive, and you may want to find unusual ways to show off these unusual stones. 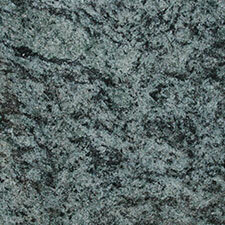 One easy example is to use a thin cut slab or stone tiles to create a splashback behind the stove or sink. As the stone is upright in an area that’s usually uncluttered, it creates a great visual effect while also providing a practical purpose. One way to increase worktop space in a small kitchen is to create a breakfast bar, island or peninsula that’s equally useful for eating a meal as preparing one. 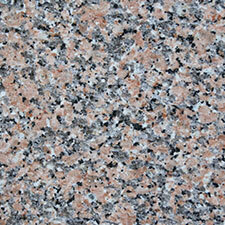 Marble and similarly striking stones are bang on trend at the moment as well as being visually stunning. As the stone is tough, waterproof and easy to clean, it’s simple to switch from prep to meal time. 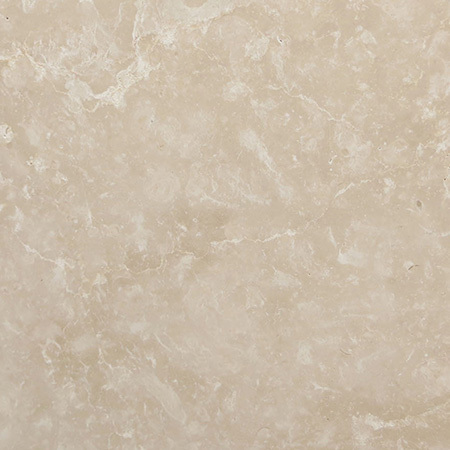 Marble is a delicate stone, so if you’re worried about damage – perhaps staining from kids colouring outside the paper or clumsy teens dropping mugs – then a robust engineered stone such as Silestone or Dekton might be the better choice.